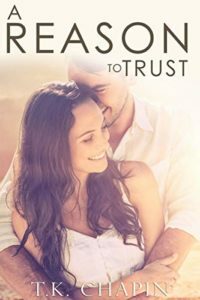 A Reason To Trust by T.K. Chapin is a contemporary Christian novel that explores love and loss, faith and forgiveness, restoration and new beginnings. Once again T.K. Chapin has written a marvellous novel that reveals the heart of God. “I deserved Hell but You gave me life.” God does not give us what we deserve because of Jesus. He loves us with an everlasting love. God longs for us all to walk with Him. When we wander off, He leaves the ninety nine to relentlessly pursue us. “You [a character] might have left me, but I learned that God stayed.” Even when others or ourselves walk away, like the father in the prodigal son, God watches and waits before running towards us when u-turn towards Him. Loss hurts. Loss plus guilt weighs heavy. “He thought he’d had more time.” We are not guaranteed tomorrow so must not let the sun go down on our anger. 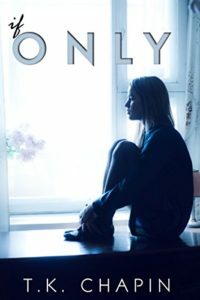 If Only by T.K. Chapin is a marvellous Christian thriller. I just could not put it down. Everything that T.K. Chapin writes is fabulous but this story tops it all. It really was an edge of your seat ride that had me guessing from the start. The action twisted this way and that throwing out a few red herrings along the way. The novel is written in two different time periods and in the first person from two different viewpoints. There is a clear defining moment where the action is then ‘before’ and ‘after’ – all very cleverly done. God is at the centre. “It’s in the silence and stillness that we can find God.” Sometimes we are so busy rushing around that we miss God but God is always there for us. 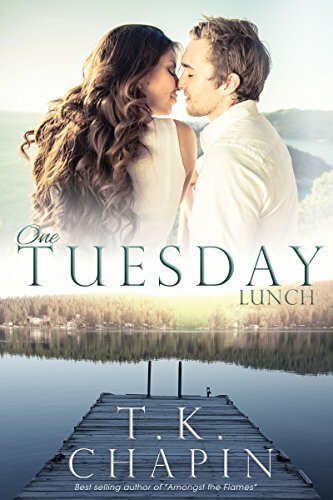 One Tuesday Lunch by T.K. Chapin is the next instalment in the marvellous Diamond Lake series but can be read as a stand-alone. It is a contemporary Christian murder mystery romance. I loved it. It had me guessing until all was revealed. There is the theme of PTSD as the main character Hunter is an Afghan war vet who lost his leg in action. T.K. Chapin shows that not all wounds of war are visible, there can be scars on the inside. One Monday Prayer by T.K. Chapin is the latest in the Diamond Lake series but can be read as a stand-alone. 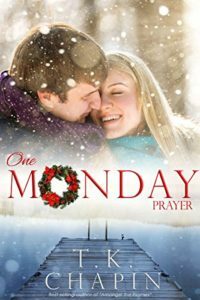 It is a contemporary Christian romance and just perfect to read in the weeks leading up to the festive season as it is set in the weeks following Thanksgiving. It would be great to read at any time of year too. The main theme is that of dealing with grief and loss. People all handle grief differently. Even though as Christians we know our loved one is “dancing with Jesus,” we still miss them. Grief can be all consuming. “It’s about learning to continue living when you don’t want to anymore.” You have to get used to a new type of normal.